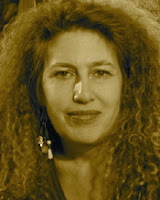 A Year of Being Here: Nina Corwin: "What Morning Looks Like"
falling to the spatterings of day. serenity riding in the passenger seat. I slide into the back, give my destination. He glances at my face in the rear view mirror. begin to reach along the horizon. his day starts and he tells me 4 a.m. It looks like anything else. It looks like God. He accelerates easily. An occasional car rolls toward us. Headlights nod as they pass. "What Morning Looks Like" by Nina Corwin. Published online at the e-poets network (date unknown), where the poem is said to have first appeared in Flyway. 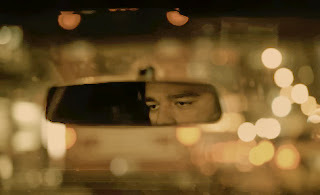 Photography credit: Detail from "Close Up of a Taxi Driver's Eyes in Rearview Mirror of His Cab," by Jim Richardson (originally color). Beautiful and so real for all those taxi passengers out there. Can't wait for the first issue of Proximity. Tell the world.